In kid sports there’s no tangible benefit to winning and no technical skills that will lead to a paycheck some day, so how much should a kid push themselves to practice and focus? Are kid sports about having fun and getting outside, or are they about teaching grit and how to win as a team? 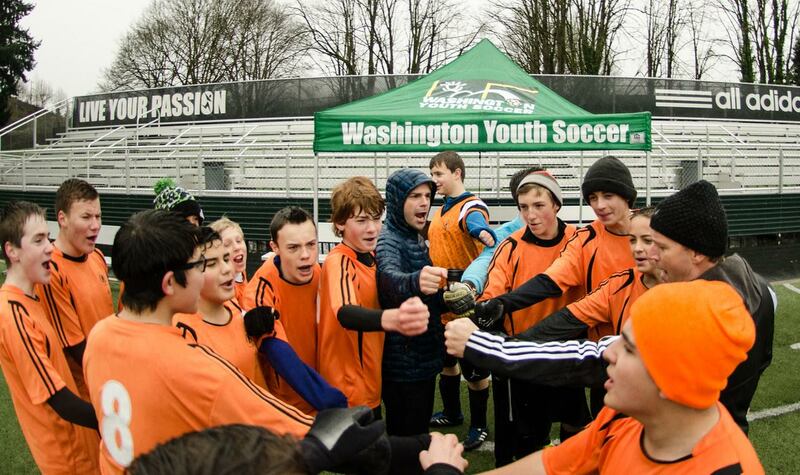 As the head coach of the U-14 boys Panthers, I wanted to write up some end of the season thoughts about youth soccer from a coach’s point of view. Coaching is one of the greatest gifts in my life. Having the opportunity to coach my son and these young boys for the last 9 years has been a great thrill for me! I have learned many things along the way coaching a close knit and let’s say very enthusiastic and exuberant group of boys. First – I always try to improve as a coach and pass on that improvement to the players. I coach to prepare my players for the next challenge. To prepare them I need to improve myself. This is why I am always trying to learn more about the game of soccer and life. Second – have a coaching philosophy that you believe in. Mine is simple, to build an extremely competitive and positive environment which encourages athletes to grow physically, emotionally, socially and spiritually. I am sure some big time coaches would scoff at this, but let them coach the big time, I want to build and environment and culture where kids come to work extremely hard but have a thrill doing it and along the way learn some basic lessons of life. Third – but most importantly the last 9 years of coaching soccer have taught me that you never give up and always move forward. The team will play soccer in the spring and then some of the boys will play high school soccer next year during their Freshman year, some will not, some know what they are doing and some don’t, but they are all moving forward to the next challenge in their lives. I believe they all will succeed!